The Philippines, being an archipelago, is composed of more than 7,000 islands. Only 2,000 of these islands are inhabited. With the geographic makeup, expect that each group of islands or regions have their own versions of a certain dish. Spanish, Chinese, Malay and Indian cooking, influence most of the local dishes. The Philippines has strong ties with the US, so it is more westernized than the rest of Southeast Asia. Most people can understand and can speak English well. 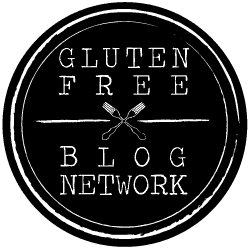 Gluten Free Philippines: Is it Friendly to Celiacs and those with Gluten Sensitivity? Unfortunately, “gluten”, “gluten sensitivity”, “gluten allergy” and “Celiac disease” are unknown to the rest of the country. Either those few who are aware suffers from the condition or a family member does. Some well-travelled lot and those educated abroad might be familiar with Celiac disease and/or gluten free products. In Manila, the capital city of the Philippines, you would not have any trouble finding gluten free restaurants. Here are several of them. Corner Tree Café is both vegan and gluten free, so you’ll find dishes on their menu either with a (V), (VO) or a (V, GF). They serve gluten free soups, salads, a combination of Western, Mediterranean and Asian main dishes, Filipino dishes, and desserts. They also serve wine and cocktails. Just make sure to inform them that you’re allergic to gluten so they can prepare the cocktails carefully without gluten contamination. Susi (key in Filipino) is the first 100% vegan and gluten free restaurant in the Philippines. They serve gluten free appetizers, main courses and desserts. Some of the must-try dishes include the “Carb-No-Nara” (Alfredo pasta), “El Chimichurri” (beet burger with chimichurri), “Faux Gras” (smoked mushroom pate), “Roygbiv” (colorful salad with homemade Teriyaki dressing), “Emerson” (lentil mushroom loaf with mashed potato and gravy and Ratatouille), and “Quinotto” (teriyaki quinoa risotto). For desserts, try their “Cacao that Cares” (chocolate pear tart with dark chocolate ganache), “Eat Your Feelings” (dark chocolate cake with walnuts), and the “Berry White” (almond-coconut based strawberry tart). The Wholesome Table uses all organic ingredients from local sources. Their menu includes vegetarian (V), vegan (VGN), nut-free (NF), dairy-free (DF) and gluten-free (GF) selections. They serve breakfast, lunch, snacks and dinner. They also have gluten free desserts like GF chocolate cake, mango cheesecake, cookies n’ cream cheesecake, yoghurt pannacotta and crème Brulee. The Wholesome Table has two branches – one in Bonifacio Global Center and the other in Salcedo Village in Makati. Make sure to check the menu on their website as it constantly evolves depending on the availability/ seasonality of ingredients. They also serve pizza, using local ingredients (clams on pizza, anyone?). Too bad, it’s not gluten free pizza, Manila and the rest of the Philippnes would have enjoyed it so much. Edgy Veggy is a café that also offers delivery services around Manila. They have gluten free starters, soups, salads, noodles, steaks and main dishes. They also have special menus for those on Ketogenic, Thrive, Keto-Thrive, Vegan-Thrive, Vege-Keto and High Prana diets. Jertie’s Kitchen is not actually a restaurant. However, they do sell vegan and gluten free cakes, desserts and meals. They often participate in food expos and events and even conduct cooking workshops and wellness seminars. Among their products include brownies, cookies, granola balls and cakes. You can also purchase their products online or in healthy restaurants where they consign their cakes and pastries. In major cities such as Manila and Cebu, there are health shops and major supermarkets carrying gluten free food such as Healthy Options and the US brand Uncle Bob’s. In Manila, there is a gluten free baker, Amores, that sells pre-ordered breads and pastries. There’s also an online store selling gluten free products, Gerald.ph. There is no direct translation of gluten in Filipino. So it would be best to say “bawal” (not allowed) or “allergic” to harina (flour), toyo (soy sauce), bulgur, oats, broth cubes, tokwa (tofu), tinapay (bread). Pansit or meke (rice noodles) may sometimes contain wheat flour, so avoid eating them to be safe. Steer clear of lumpia (spring rolls) and any dumplings as well. Note: While plain tofu is generally gluten-free, there are flavoured/ marinated varieties that may contain gluten. Tofu dishes in the Philippines are commonly seasoned with soy sauce. Most places sell fresh fruits and vegetables. In case you want to go backpacking, you can easily buy them in stalls and farmer’s markets. White rice is a staple and can be bought pretty much anywhere. Be cautious with most Filipino dishes as they commonly contain soy sauce, broth cubes and powdered seasonings. Native Filipino desserts are fairly safe though as they are mostly made from glutinous rice, coconut, coconut milk/cream and cassava. Is the Philippines on your travel radar? Plan your trip early and stock up on gluten free snacks especially when going on a backpacking trip around the islands. We hope our article on Gluten Free Philippines is of great help to your travel planning. Hi! Can I ask if Peckish is Gluten Free?